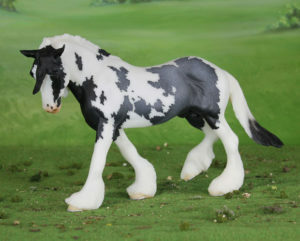 I’m literally squealing with delight over Breyer’s newest Web Special Run. 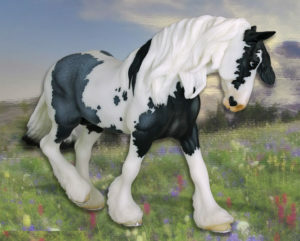 His name is Rainier and he is the popular Wintersong mold in a stunning blue roan pinto that was designed by artist Sommer Prosser. Rainier is available by lottery to 2017 Collector’s Club members who may enter once per day through February 5th, 2017. Winners will be drawn on February 6th. Rainier is limited to 350 pieces and is priced at $175 plus shipping. I’m predicting that this will be a vary popular model and well worth the price. I’m definitely entering for Rainier. How about you? The highest mountain in the Cascades, Mount Rainier sits high above the booming city of Seattle, Washington. This ice-topped mountain is an actual active volcano area! Rainier’s patchwork coat invokes the image of a snowy glacial mountaintop contrasted with dark volcanic rock. 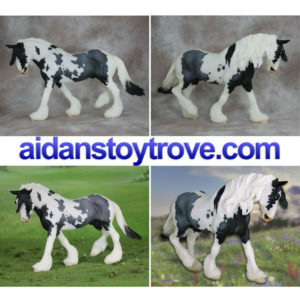 His sturdy draft build, ice blue eyes and silver horseshoes add to his beautiful detailing. He is marked Rainier 2017 on his belly in gold. 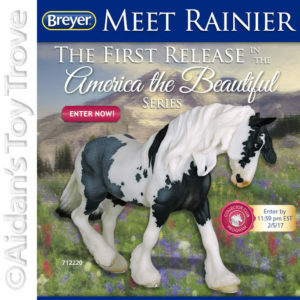 A series of Breyer horses celebrating the places that make America so spectacular. From deep, dry canyons to soaring snow capped mountains, to rolling hills and plunging waterfalls, these beautiful horses will encourage you to explore. 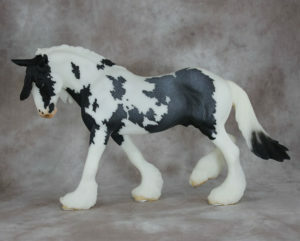 Enjoy a wide variety of beautiful horses celebrating our country’s amazingly diverse landscape. Each model to feature a custom designed logo on its belly! 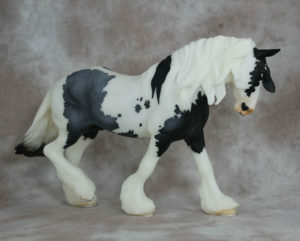 « BreyerFest Sneak Peak Horse Is Saffron!